Campagnolo is on Main Street just before Chinatown and very close to the new Torafuku! I’ve been wanting to go to Campagnolo for a while since I had pasta cravings but when I was actually there, we ended up ordering no pasta and had risotto instead. 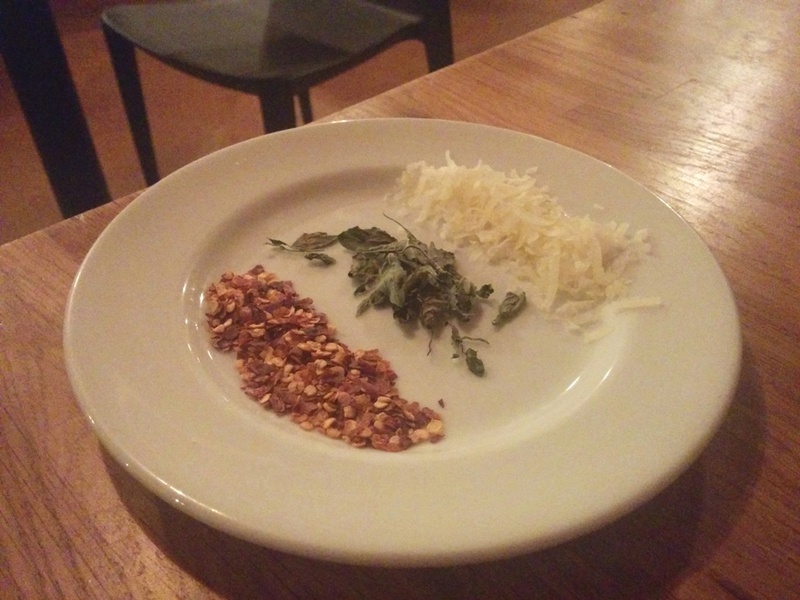 They give you some cheese, chili pepper flakes and some kind of herb on a side plate so that you can use it on your pizza or pasta. 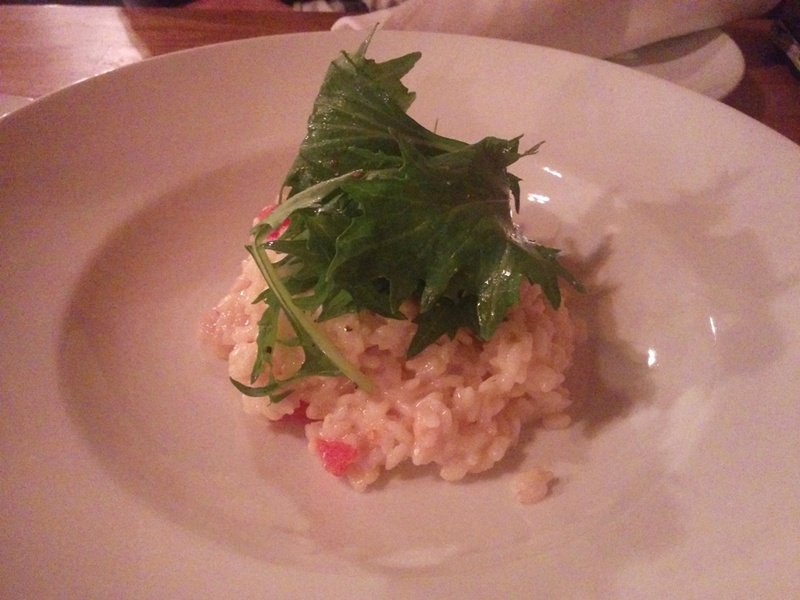 We ordered the Carnaroli Risotto with cascade tomatoes, nasturtiums (the leaves on top) and parmigiano. The portion was so small!!! Flavour wise it was rich and creamy and with lots of fresh tomato flavour. The rice could’ve been a tad softer though. Good thing we also ordered the Fredo Pizza with salumi sugo, misuna (the leaves on top) and olive oil. This was really good with a crisp and somewhat chewy crust and the middle didn’t sag either. There was just enough flavour from the salumi sugo and it wasn’t too salty. The ambiance would be good for date night here! I also like how when you walk in, the entrance looks like a tunnel formed by wooden slats over you. 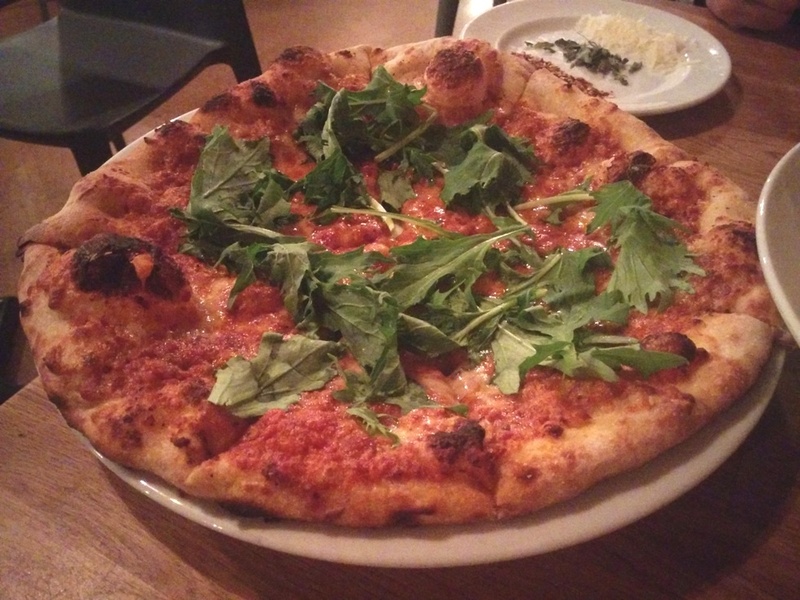 This entry was posted in European, Food Reviews, Italian and tagged pizza, risotto.